Mixed martial arts might seem a bit much, especially for those that prefer the contours of their couch to a cold gym mat on a rainy Saturday morning. But we know too much about the benefits of martial arts training to act like they don't matter. So, the next time that niggling little voice starts nagging, don't turn over and go back to sleep. Instead check out the neighbourhood martial arts academy in Melbourne and get yourself enrolled. Exercise might feel like a series of mind numbingly repetitive movements and that's where mixed martial arts programs, such as the ones they deliver at the Lion Heart Academy, leave regular gym routines gasping. Consider what they have for you; Karate, Boxing, Judo, Kickboxing, BJJ, Muay Thai, Aikido, Kobudo, and Iaido. Get your fitness program going while doing something useful and fun, something that also teaches you to defend yourself besides giving you oodles of self-confidence. Sue, one of the founding instructors at Lion Heart Academy, can't stress enough how important it is to be able to defend yourself, especially if you're a woman or a child. She showed me some moves that blew my mind. I think she has a point. 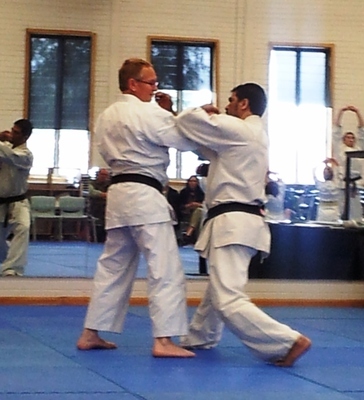 You don't have to go all the way and be a black belt, unless you fall in love with martial arts and decide to do so. All you need are a few basic moves that help you disable an attacker just long enough to get away from a dangerous situation. There are so many forms of martial arts to choose from and this is a good thing as you are bound to find one that suits you. Speaking for myself, I'd be more inclined towards Aikido or Iaido; kickboxing scared the daylights out of me. 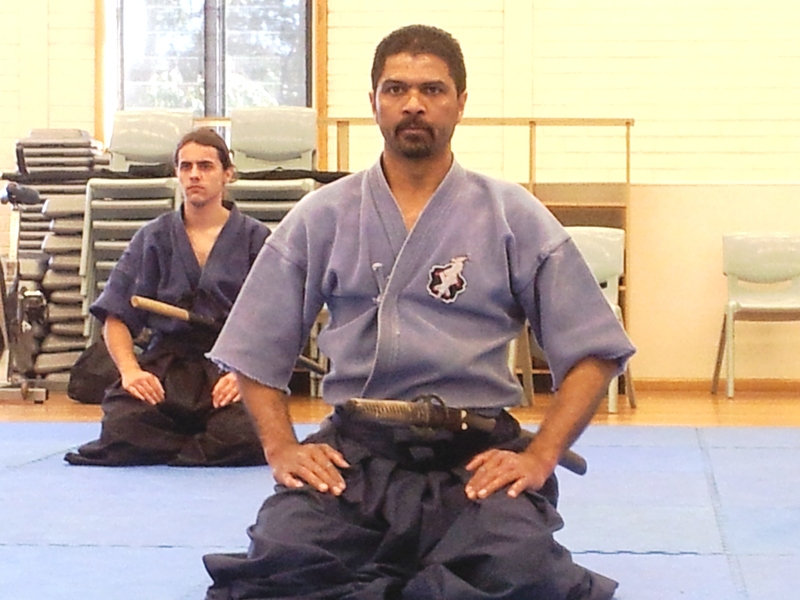 Herve, the chief instructor is a master at all of these various forms. Sue was telling me just how passionate he was about his martial arts to the extent that he gave up his day job to be able to devote himself completely to it. 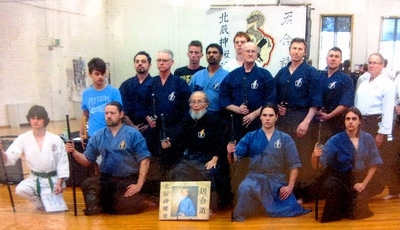 Instructors Sensei Herve Vengatasamy, Sensei Sue McLaughlin, and Sensei Craig Baulch conduct the various classes at the Academy. 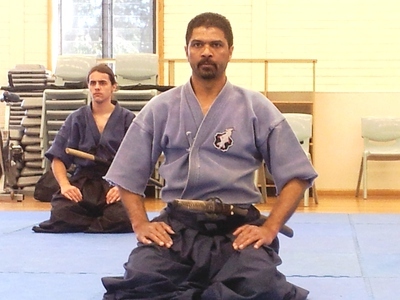 Sensei Hervei is the Master Instructor armed with a 2nd degree Black Belt and 35 years' experience in the field of martial arts. In addition to these he has impressive qualifications as Sports Coach to National and International Champions, in Professional Boxing & Combat Sport, and World Karate Federation. 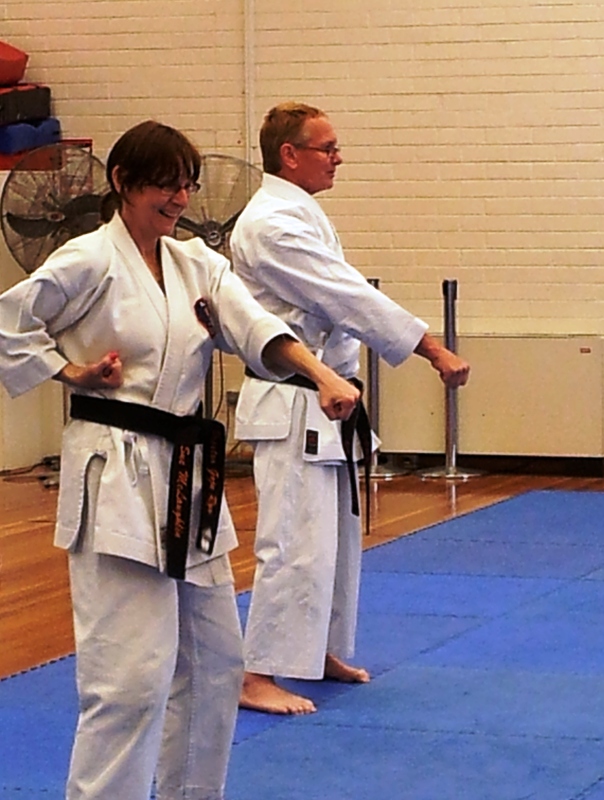 Sensei Sue is a 4th Dan Black Belt and a qualified Sports Coach with various awards under her belt. Sensei Craig is a 3rd Dan Black Belt, a Sports Coach, and a qualified personal trainer. In addition to these awesome credentials, all three of them have Working with Children Check. With these instructors in charge your training is in safe hands. Once you've decided to actually go out and do it, you might be stumped as to where you should enroll to actually practice these martial art forms. Let me direct you to the Lion Heart Academy of Mixed Martial Arts. I've been there on various occasions and saw for myself how dedicated they were in imparting training. Located in the Netball and Sports Centre of the RMIT University Bundoora Campus just off Mckimmies Rd, the academy has classes for all ages and levels of expertise. Monthly training fees at the Lion Heart Academy range from $100 for adults to $70 for 5-12 yr olds. Family members get a $10 discount. They also have a concession rate of $80. If you would like to simply check it out before jumping in, you could avail of the $20 casual class which entitles you to a single class of your choice. 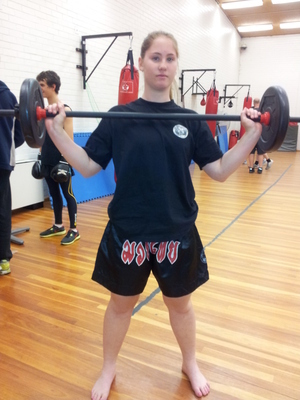 They have classes seven days a week as you can see from their timetable, and so there really is no reason why you shouldn't be there and working your way to becoming a lean mean fighting machine. Why? There is a beautiful, strong person inside of you waiting to get out. When: Mondays & Tuesdays 7.30-9.30 pm; Wednesdays& Thursdays 6.30 - 9.00 pm; Fridays 6.30 - 8.30 pm; Saturdays 10.00 am - 12.00 pm; Sundays 9.00- 11.00 am.